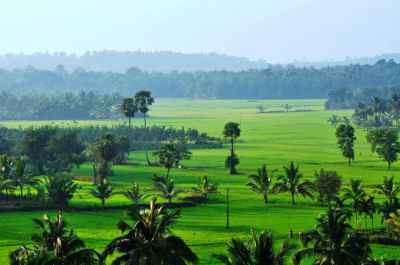 Pick Up from Ernakulam Railway Station and proceed to Hotel. Check in at the hotel for 1 Night. 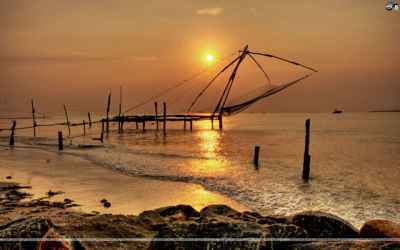 After fresh up, subject to time availability, visit Fort Kochi Beach, Vasco Da Gama Church, Chinese Fishing Nets, Mattancherry Palace & Jewish Synagogue. After sightseeing return to hotel. Overnight stay at Cochin. 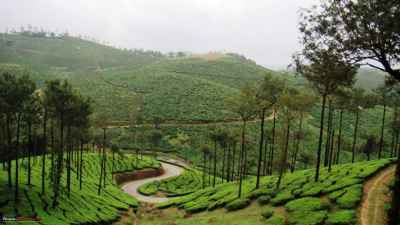 After Breakfast check out and proceed to Munnar (140 Kms. / 3.5 Hrs.). 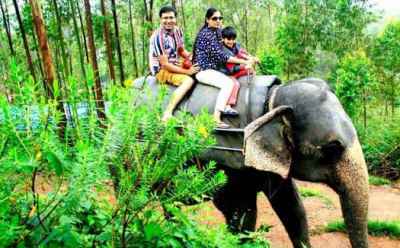 Enroute watch Cheeyappara Waterfalls, Vallara Waterfalls and Karadippara View Point. Check in at the hotel for 2 Nights. After fresh up, as per time availability, visit Mattupetty Dam which provides boating facilities & Echo Point which gets its name from the natural echo phenomenon here. After sightseeing return to hotel. 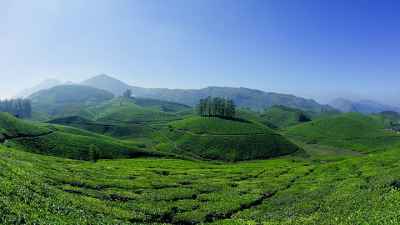 Overnight stay at Munnar. 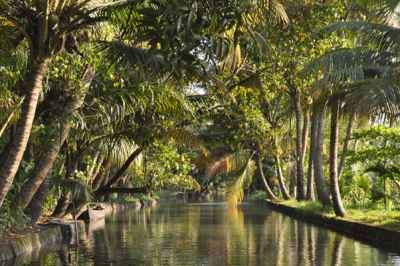 After Breakfast check out and proceed to Alleppey (50 Kms. / 1.5 Hrs.). By around 12 Noon, Check In at the houseboat for 1 Night. 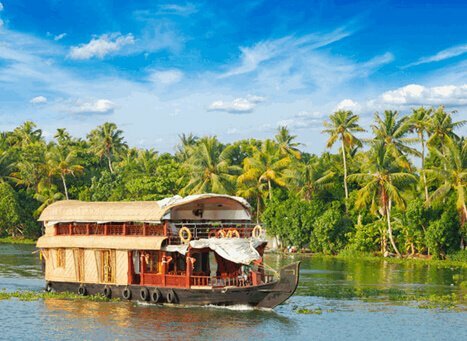 Traditional Kerala Lunch, Tea - Snacks & Dinner will be served onboard. 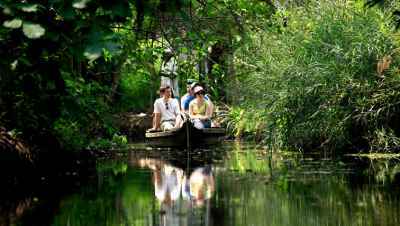 Houseboat cruises through coconut lagoons & backwaters of Alleppey till 5:30 PM. 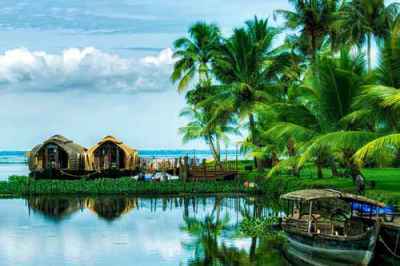 Later the houseboat will be anchored by side of the backwaters for overnight stay. Overnight stay at the houseboat in Alleppey. By around 8:00 AM, start your cruise again. 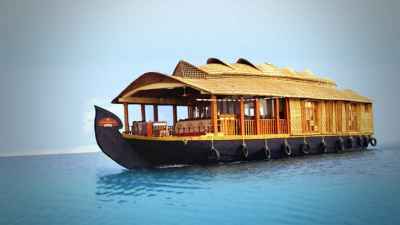 Traditional Kerala Breakfast will be served onboard. 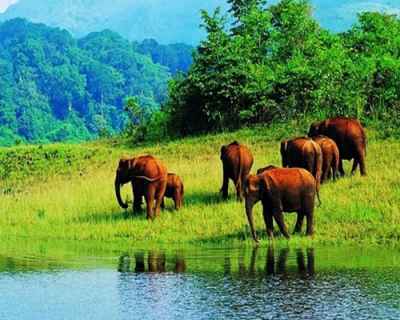 By around 9:00 AM, Check out from the houseboat and proceed to Kanyakumari (270 Kms. / 6 Hrs.). Check in at the hotel for 1 Night. After fresh up, as per time availability, visit Vivekananda Rock Memorial, Thiruvalluvar Statue, Kumari Amman Temple & Sunset View Point. After sightseeing return to hotel. Overnight stay at Kanyakumari. After Breakfast check out from the hotel and proceed to Cochin (250 Kms. / 6 hrs.). Check in at the hotel for 1 Night. Evening go for Sunset Cruise at Marine Drive. After sightseeing return to hotel. Overnight stay at Cochin. 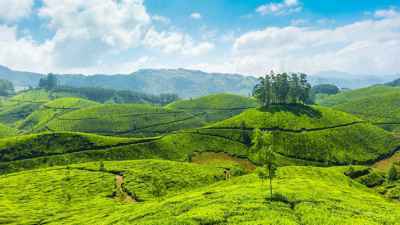 After Breakfast check out from the hotel and you will be transferred to Ernakulam Railway Station for your onward journey.